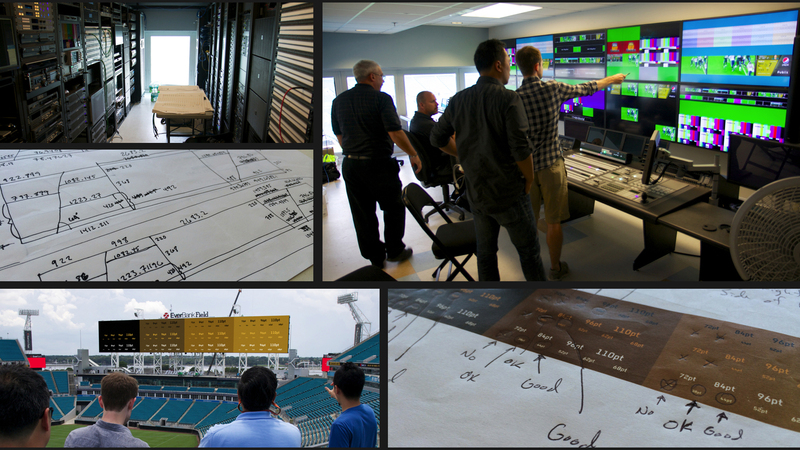 Troika was charged with developing an innovative brand experience for the Jacksonville Jaguars using the world’s largest stadium video boards. The goal was to maximize fan engagement and sponsor integration through a strategic methodology and creative executions. We created an adaptable content framework that provides value and purpose in every aspect of the game experience through unique storytelling and strategic use of information and entertainment. As a living canvas, the video board can fluidly take on different configurations as the situation demands. Through scale, position, color and motion we can dial-up or push-back the information relevant to that moment in time. Rigorous theory and testing was paramount to ensure that size and contrast of information design would be legible from all vantage points in the stadium. 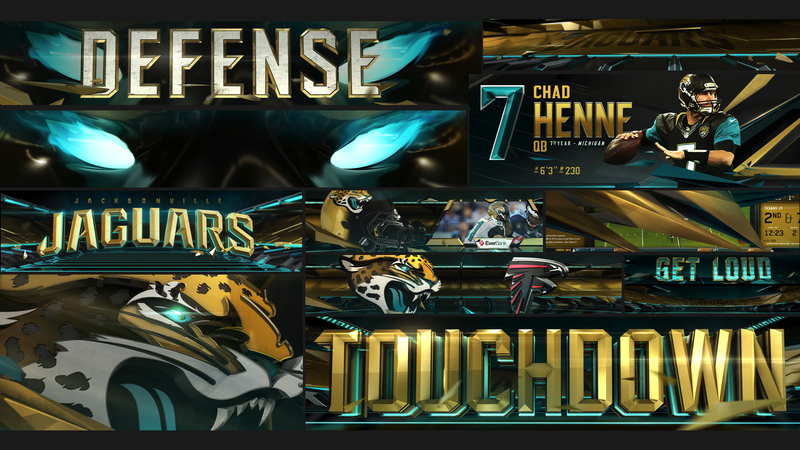 A range of design treatment and motion theory was explored to bring the “Command Center” to life with the Jaguars brand. Partner brands were strategically integrated into the design to maximize their presence without overpowering the game presentation. Each brand has an intermittent “activation” moment where their carousel chip comes to life for dynamic messaging. Design and animation were extended beyond the main boards to the various stadium ribbons and fascia. During key game moments the boards and ribbons are activated and choreographed together through unique, signature animation and sound design. The team’s logo, colors, and typography were evolved into a complete visual identity for the stadium experience. This graphic approach embodies the progressive foundation at the team’s core. Information and imagery are boldly framed by rigid graphic structures that denote strength, aggression and power. The visual language was built with the ability to extend to other media such as broadcast and print.